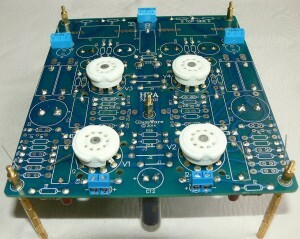 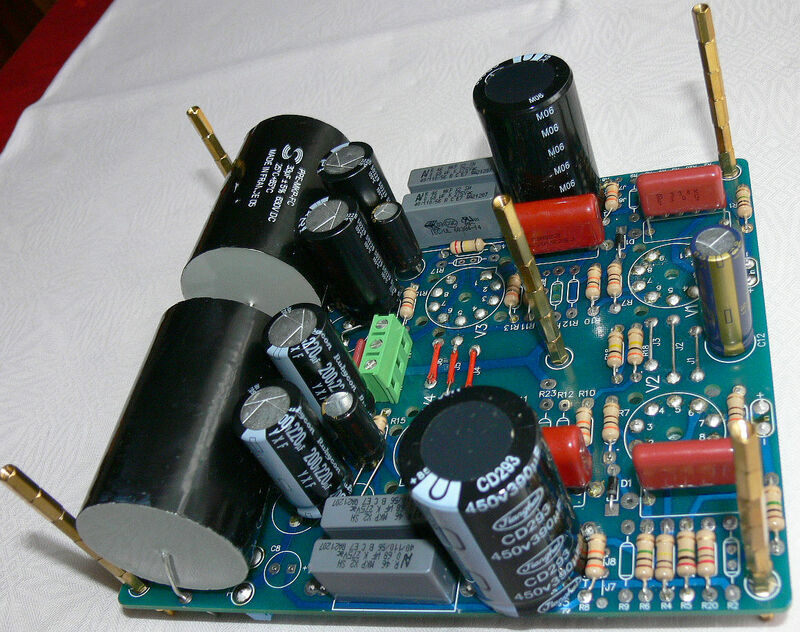 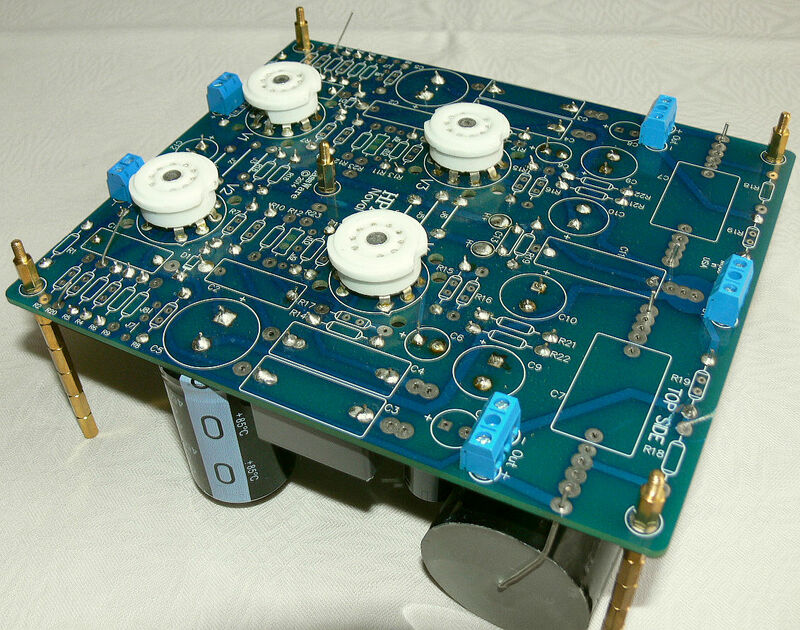 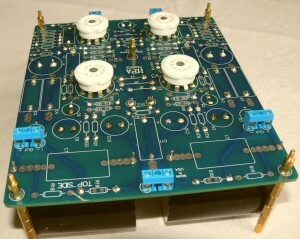 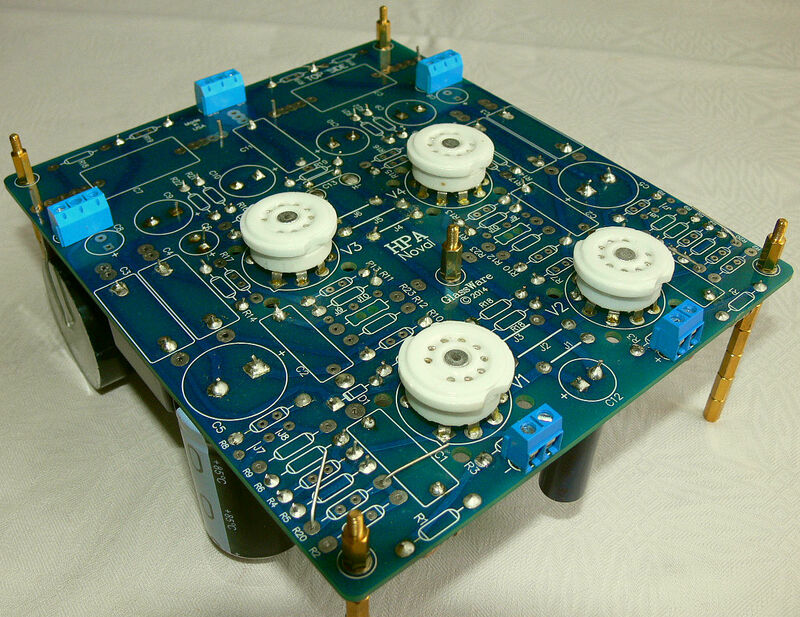 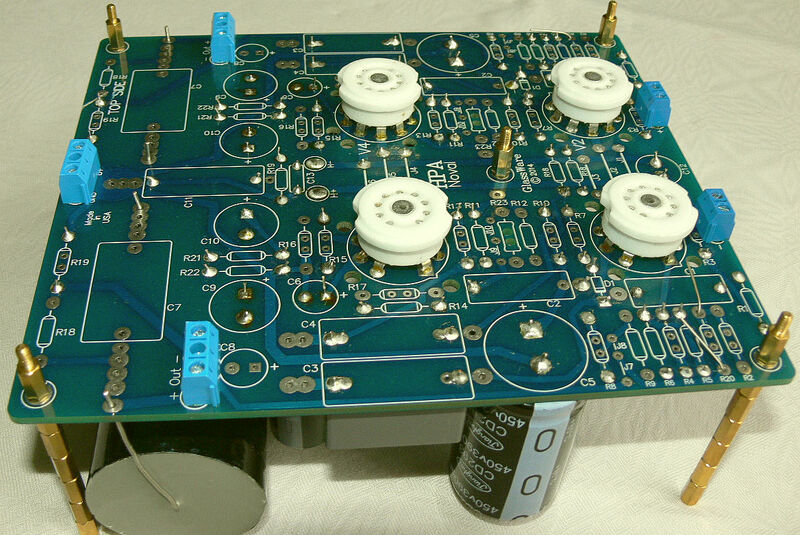 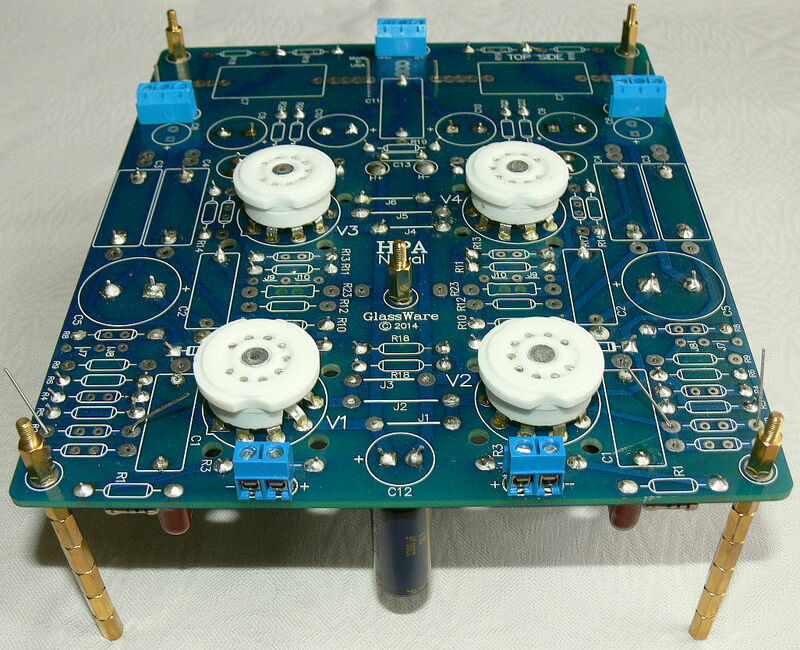 Some progress has taken place within my work in progress, being the HPA HeadPhone Amplifier by John Broskie. Yes, the one with the Current Drive capability … PCB mounting almost completed now. 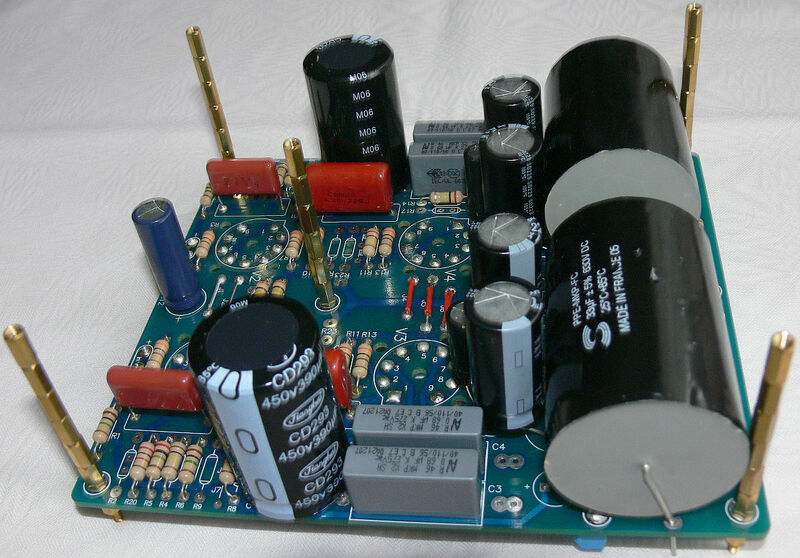 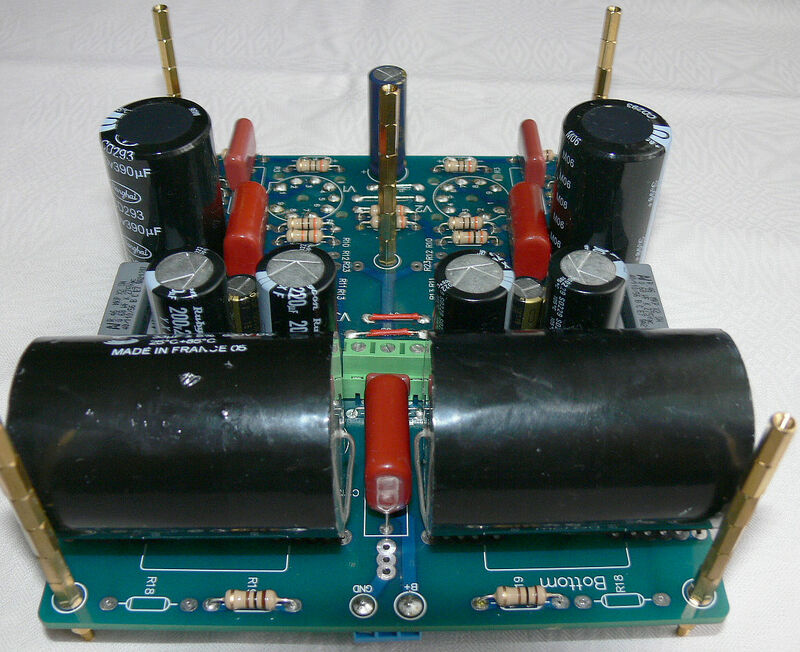 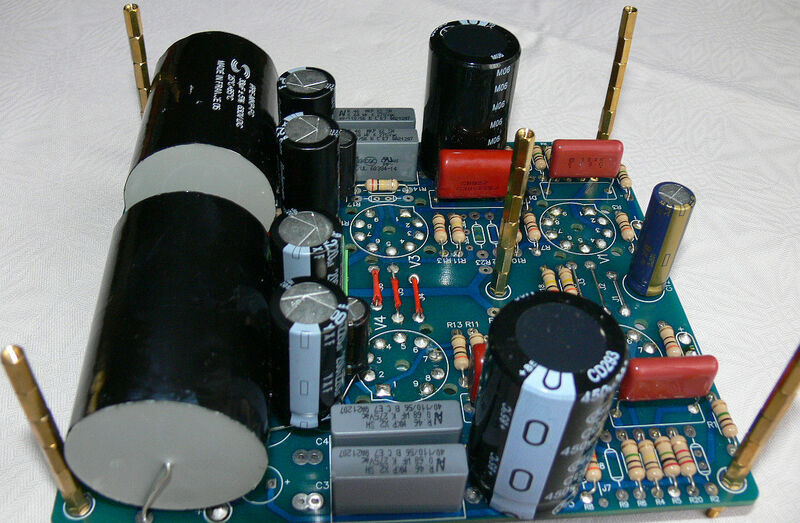 Need to make some final choices pertaining to tube types and usage mode, as practically speaking, there is the freedom of choice to choose between “voltage drive” and “current drive”. This selection of mode of operation takes place by a few resistors and a jumper or two. Here are some photos …. 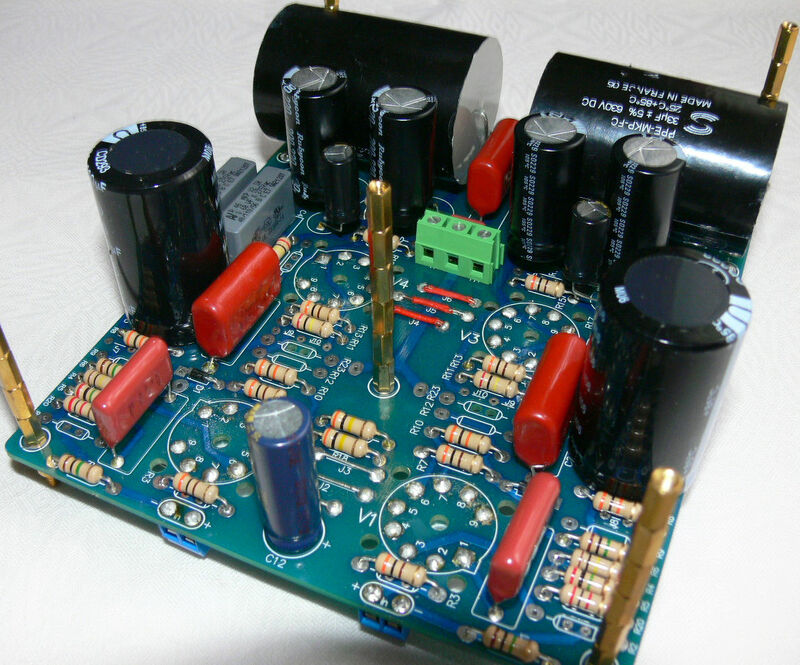 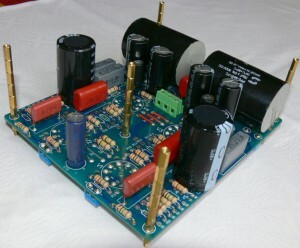 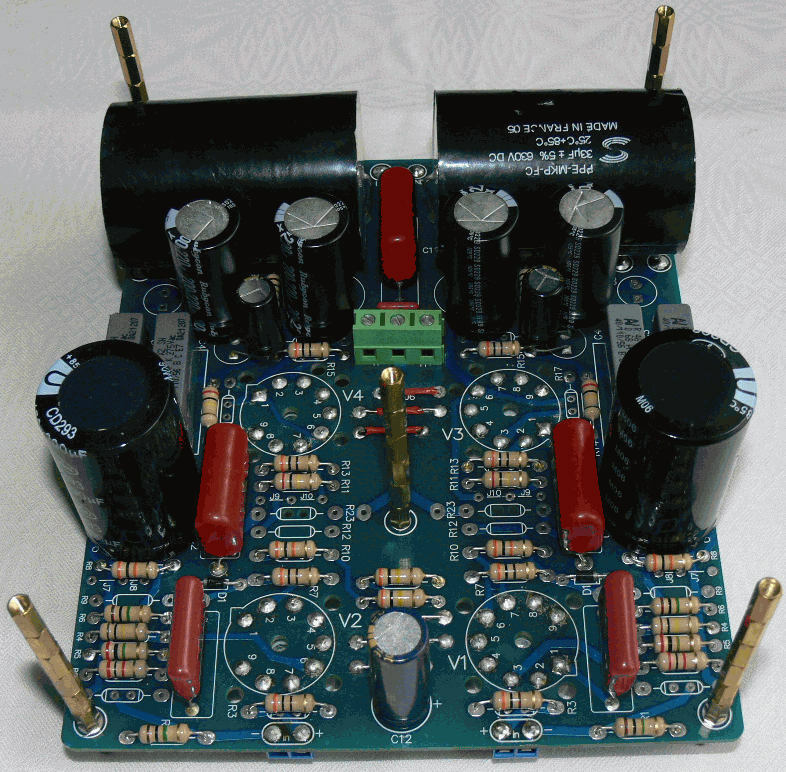 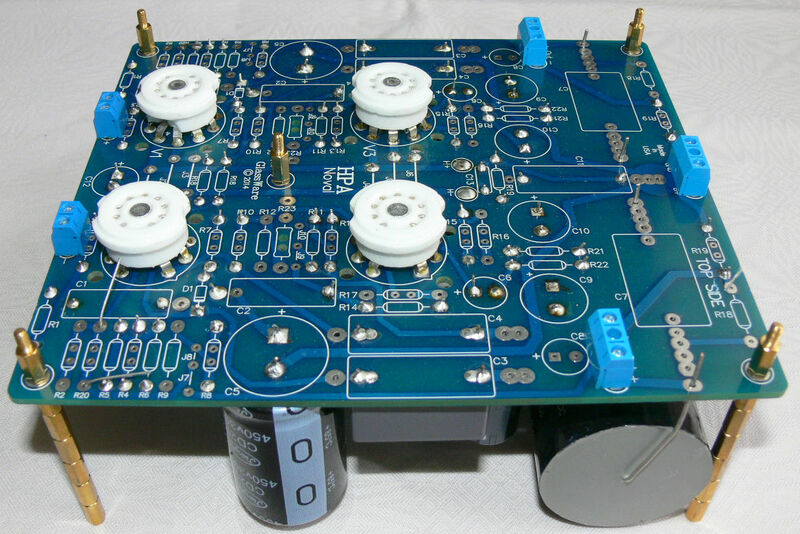 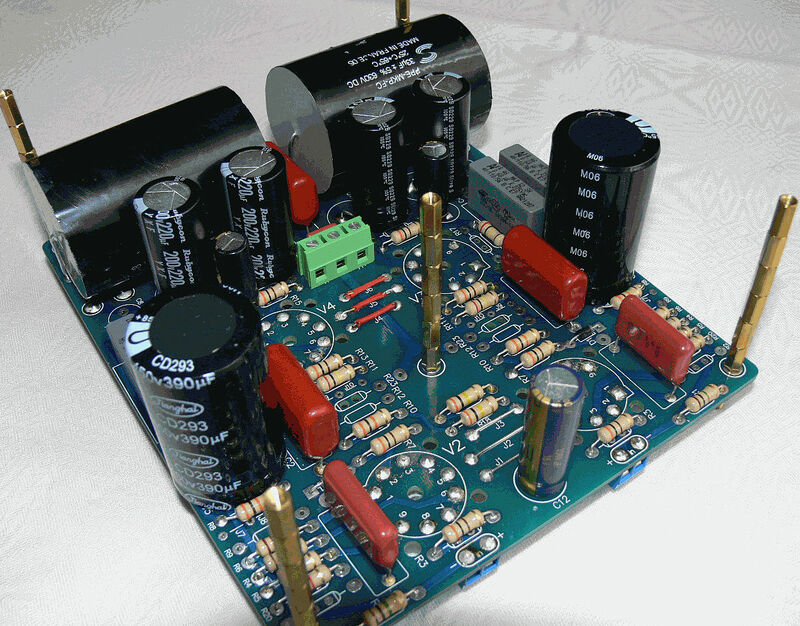 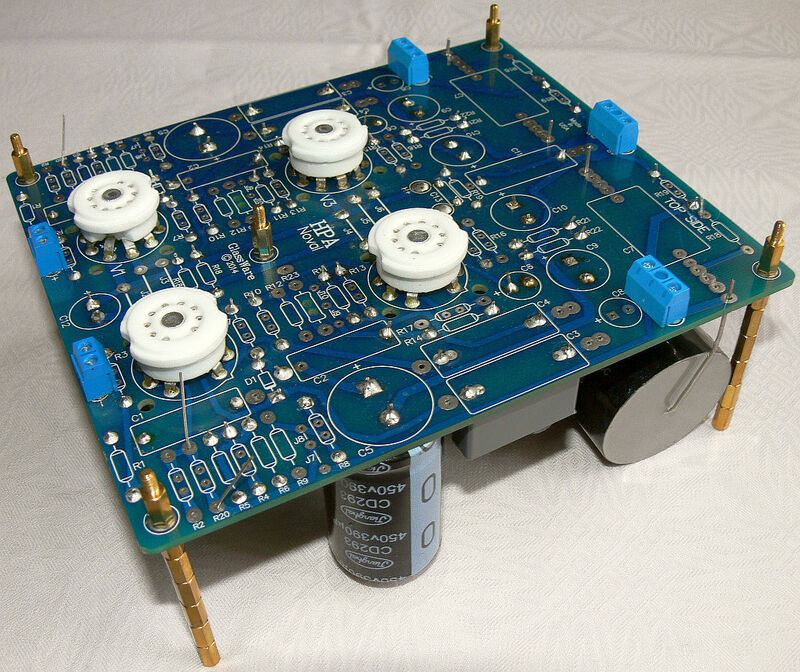 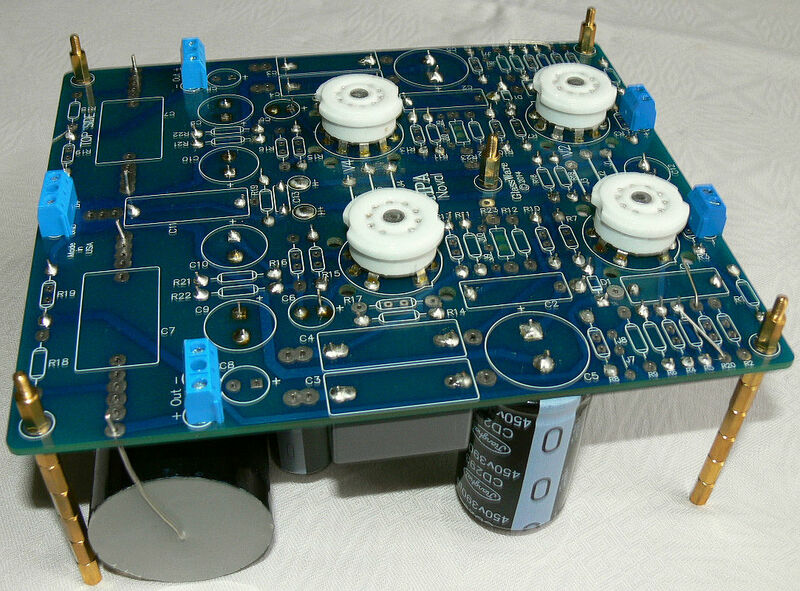 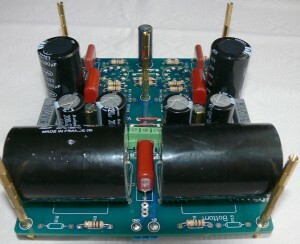 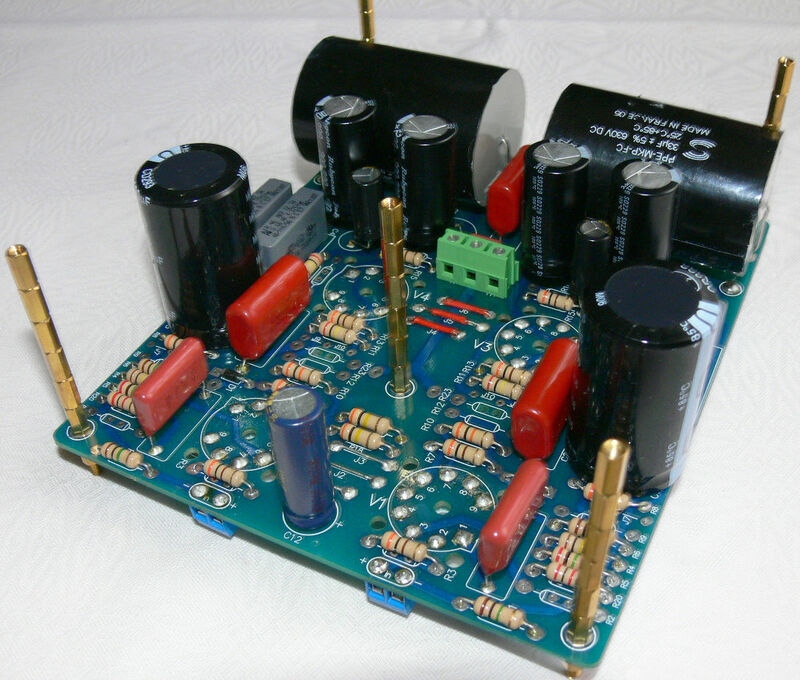 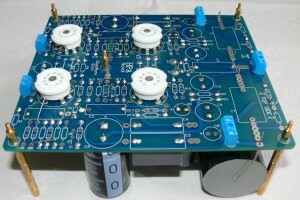 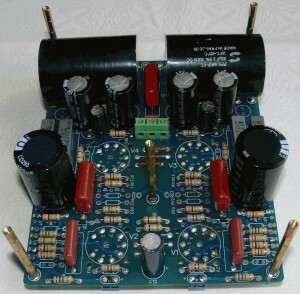 If interested in this ready-to-self-assemble kit, contact John directly at www.tubecad.com.